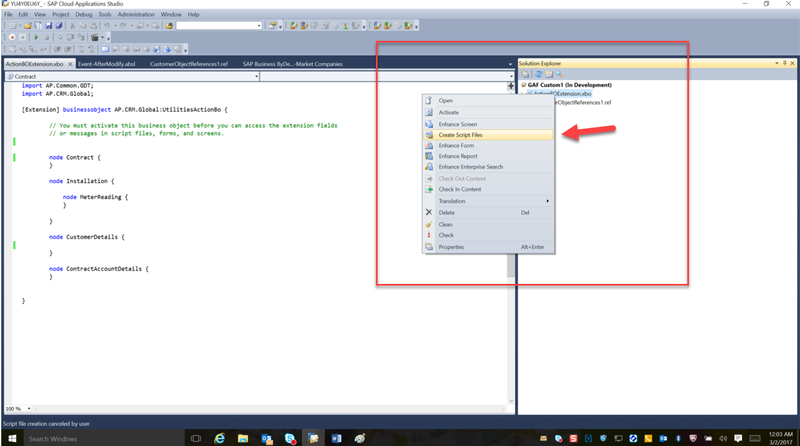 The objective of this blog is to show an example of how to add custom fields and additional logic to the guided move-in process. The logic added will include evaluation of fields added by the KUT (Key User Tools), so we will also see how to use those fields in the SDK. With the 1702 release of Utility industry extension of C4C the guided process for move-in, move-out and transfer was introduced. 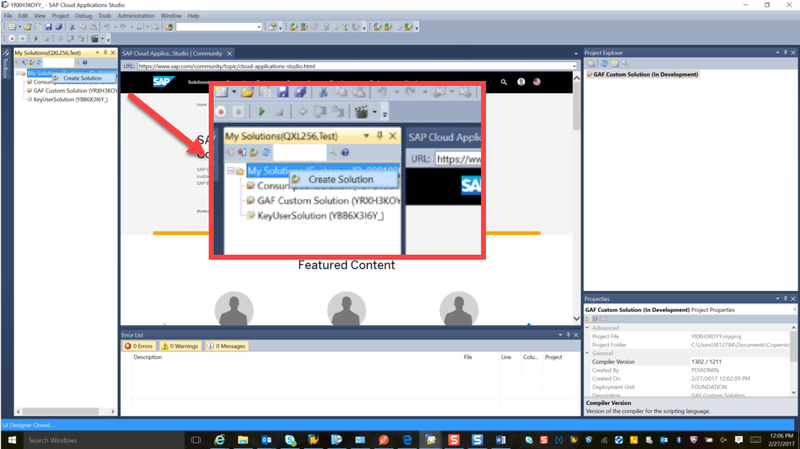 While still being a web service call to IS-U, this is implemented using a business object (BO) in C4C as the ‘reference’. 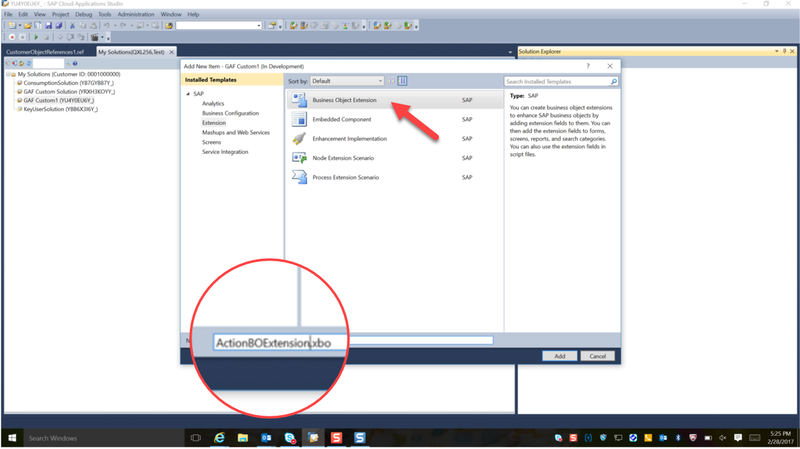 The name of the business objects is: UtilitiesActionBO. It is the same BO used for all of the processes and no data is materialized in C4C. The technical benefit of using a BO, is that several of the standard SDK options becomes available, even though it still ends up as a web service call to IS-U. In the following the examples will be based on the move-in. Selecting the premise, customer for and move-in date. Below is the end result we are looking for – the ‘Credit Check Required’ is flagged. 2.1. 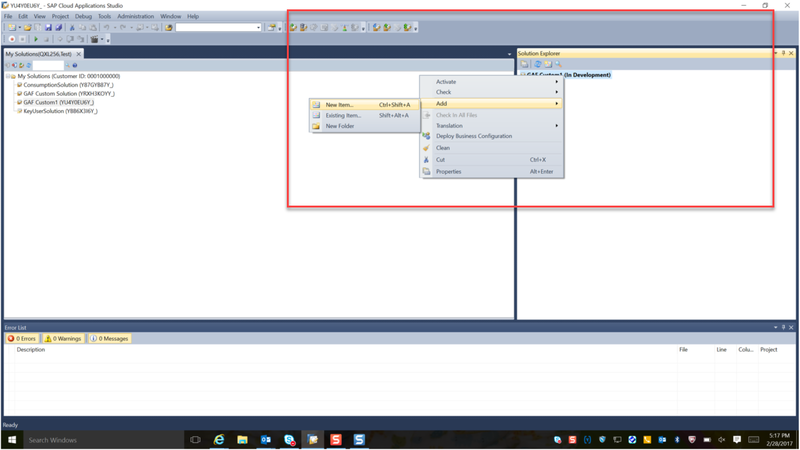 Right Click on the solution GAFCustom1 and Add New Item to include CustomerObjectReferences. 2.3. 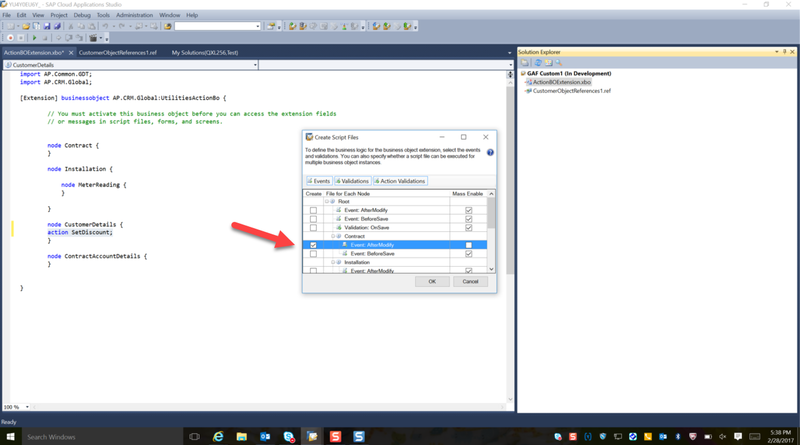 Select key user fields which needs to be referenced in the SDK implementation. 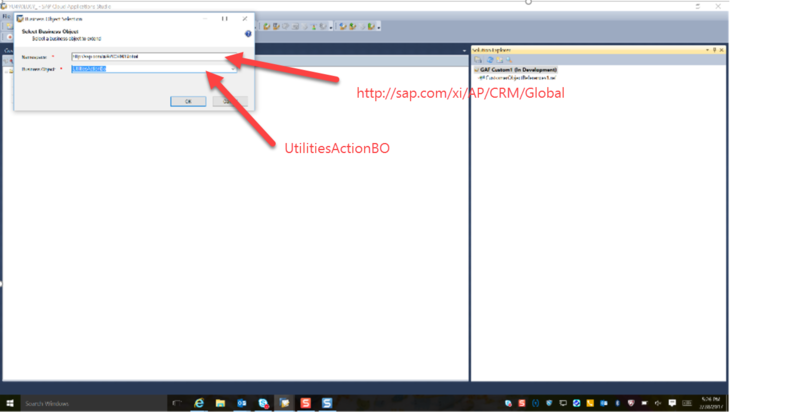 In this example: Four fields in the Business Object UtilitiesActionBO is selected. We are only using one of the fields in this example, but these four are the ones created by the KUT. Hint: Look at the node name – when we add this to the BO, we need to know where it belongs. In this case where we are adding the ‘Credit Check Required’ this needs to be added to the ‘Contract’ node. We will see this later. 2.4. Save and Activate the CustomerObjectReference in the solution. 3.3 Save and Activate the BO extension. 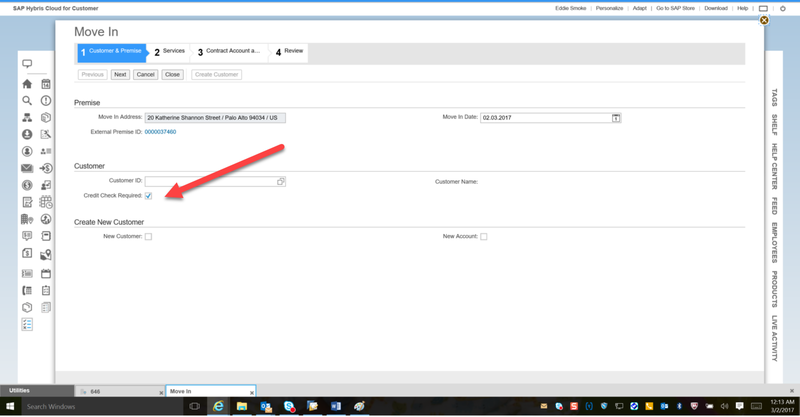 In this BO specific for Move In /MoveOut/Transfer Guided Process, the following nodes are extensible ( Contracts, Contract Account Details, Installation and Customer ) . 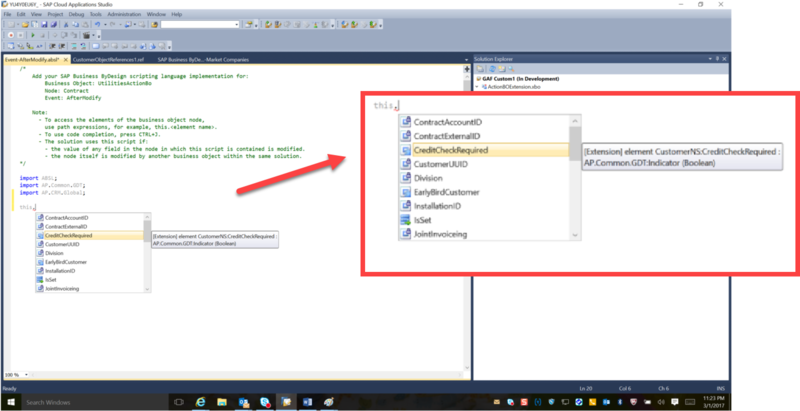 New PDI extension fields, custom Bo action can be defined here. 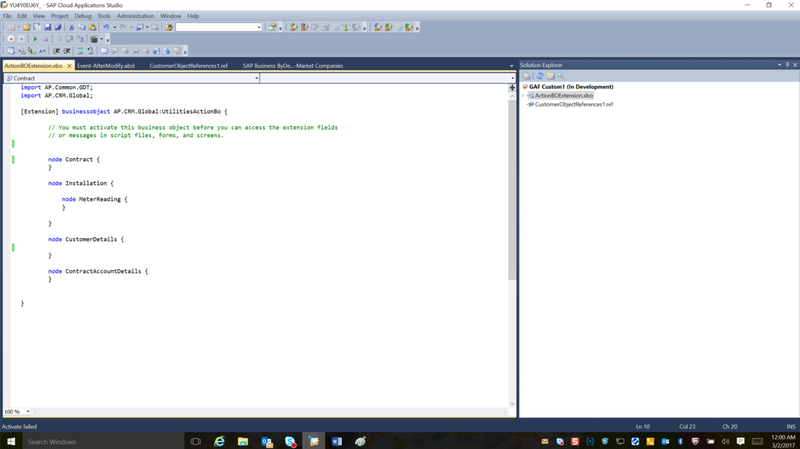 There are different trigger points to write the SDK logic. 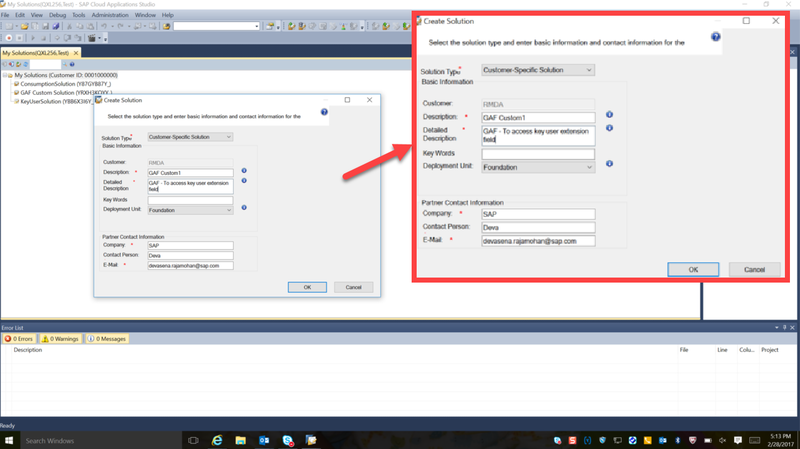 In this example , we will use the Event “After Modify” for Contracts Node to set the Credit Check Required field to true. In the Event After Modify , Please insert the code to default Credit Check to true. One can access KUT field thru this.CreditCheckRequired as shown in the screenshot. 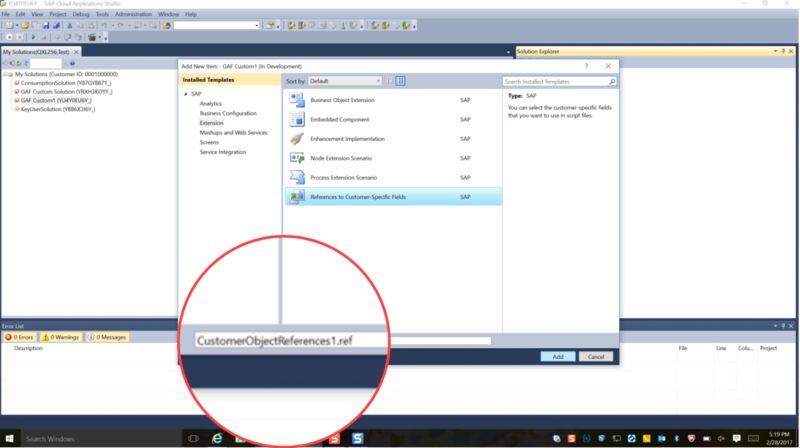 This wouldn’t be possible if the Customer Object References is not created.